In some deployment of Lync servers, we are required to install the Lync components on Non-system drives, different from the C: drive. Part of those components is the local SQL Express being installed as the local replica of the XDS database in Lync deployment. Unfortunately, during the installation of Lync, there is no easy way of changing the SQL installation to be installed on a separate drive and that requires manual installation prior to the Lync setup. 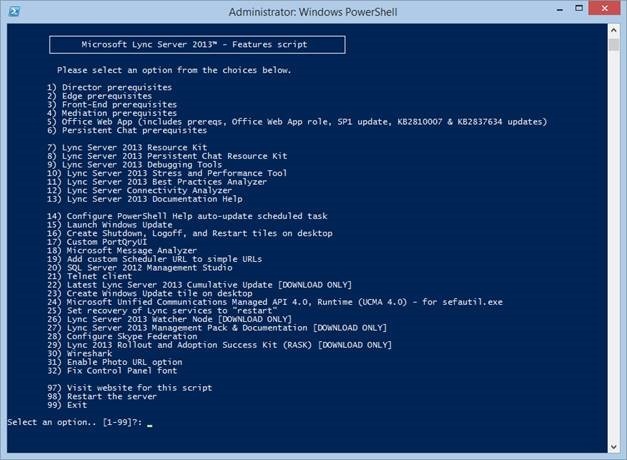 An easier alternative is by using the following script by Pat Richard which contains an outstanding list of Prerequisites and Tools for Microsoft Lync Server 2013.